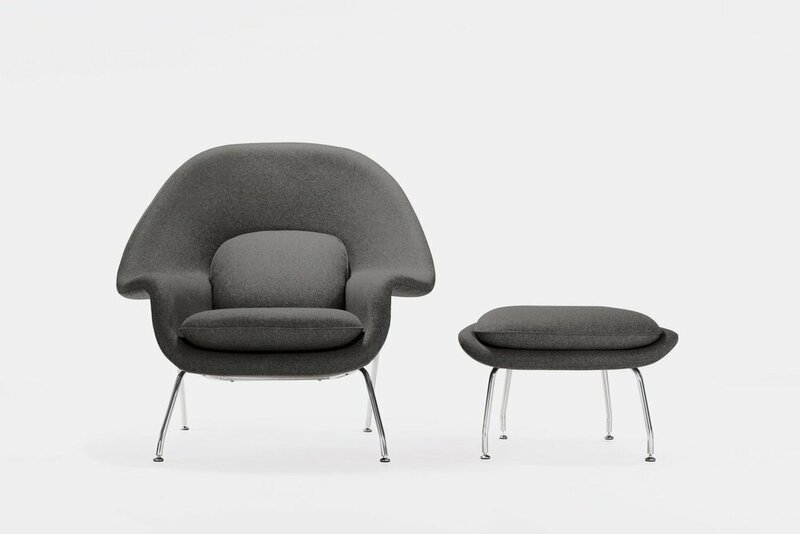 If you're after an iconic piece of minimalist furniture then you needn't look any further with the Womb Chair. 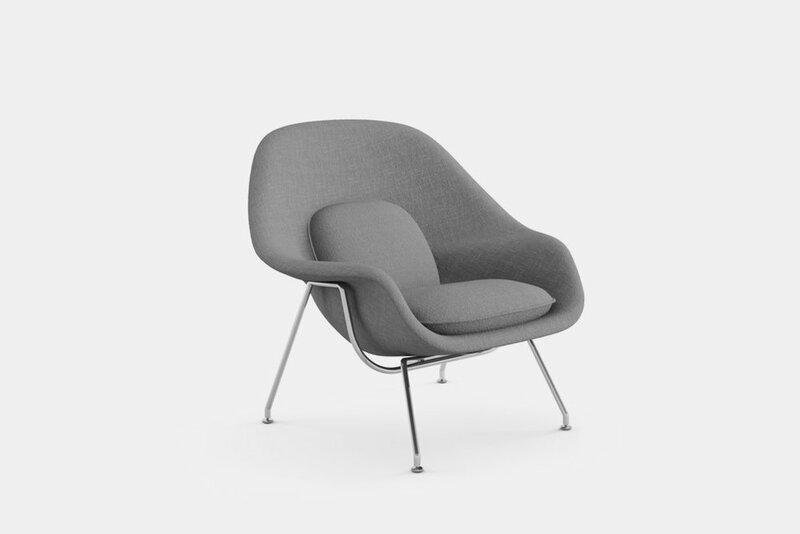 First created back in 1948 by Eero Saarinen for Knoll. This simple yet complex piece of art was the first fibreglass chair to be mass-produced in America. The shape and form of the chair can be consumed as a complex yet organic piece at the epicentre of its design. Its neutral, warm, sophisticated colour palette and fabrications stand to support any interior that is fortunate enough to house such a piece. The chair comes in three sizes, offering enough variation to clearly define its place in any room. The standard and medium sizes are also partnered with an ottoman. The supporting frame consists of polished chrome and the upholstery comes in four options: Classic Boucle, Cato, Volo Leather and Sabrina Leather. The elegance of this chair isn't just in the nature of its shape but the marrying of both quality and function through long-lasting materials and construction. Credit to Minimalissimo for bringing this chair to our attention.